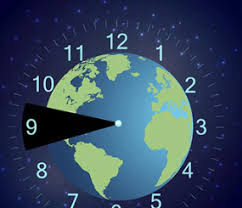 Earth Hour 2019 was witnessed on March 30th by turning off lights at 8:30 pm local time for an hour as a call for global action on climate change. The theme of Earth Hour 2019 is #Connect2Earth. The theme signifies humanities connection to Earth and nature is undeniable: our planet's gain is everyone's gain. Nature not only provides us with all the things we need to live - from the air we breathe to the water we drink, and from the shelter we need to the economy we rely on - but also makes our lives better. However, its growing loss puts this all under threat. World Wide Fund for Nature has partnered with the United Nations Convention on Biological Diversity (CBD) to create connect2earth movement. The movement partners to engage millions of people worldwide to speak up on why nature matters and take the lead in action against the harm being done to the planet we all call home. Earth Hour is held annually by encouraging individuals, communities, and businesses to turn off non-essential electric lights for one hour, from 8:30 to 9:30 p.m. on a specific day towards the end of March, as a symbol of commitment to the planet. Earth Hour which began as a symbolic lights out event in Sydney in 2007 it is now the world's largest grassroots movement for the environment, inspiring millions of people to take action for our planet and nature. Earth Hour is organized by the World Wide Fund for Nature. Q. When is the Earth Hour witnessed by turning off lights at 8:30 pm local time for an hour as a call for global action on climate change? Answer to the above Question is "d"